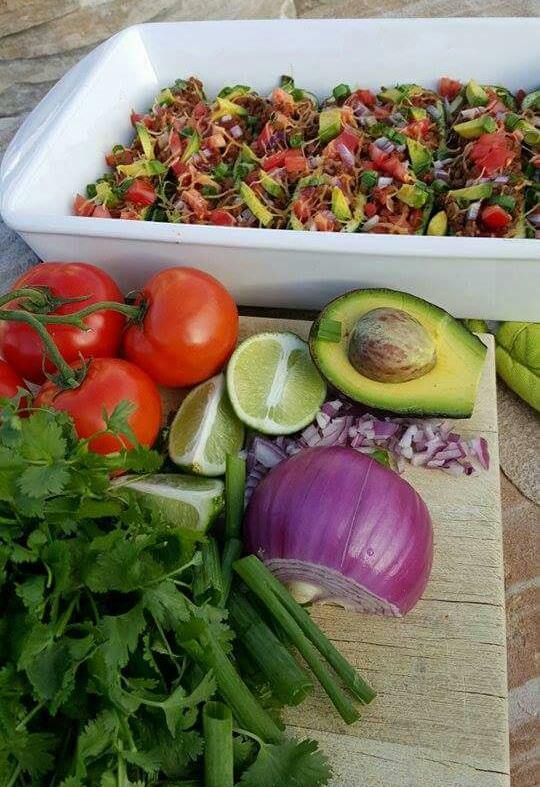 Taco Tuesday the whole family will LOVE! Heat a medium large skillet to medium high heat. Add oil and onions to the pan. Saute until translucent or soft, about 2-3 minutes. Add the ground beef. Cook until there is no more pink in the meat, breaking up meat into small pieces. Add garlic, smoked paprika, cumin, and salt to taste. Stir to combine. 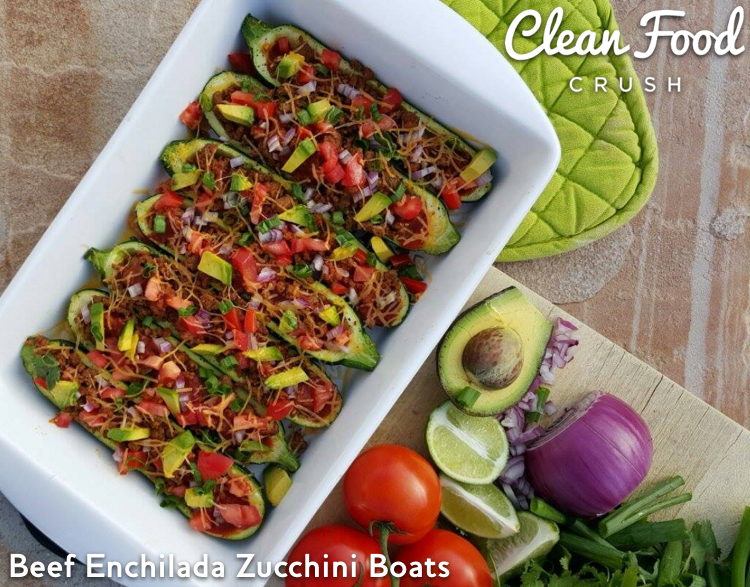 In a 13×9 inch baking dish, lay zucchini boats flesh side facing up. 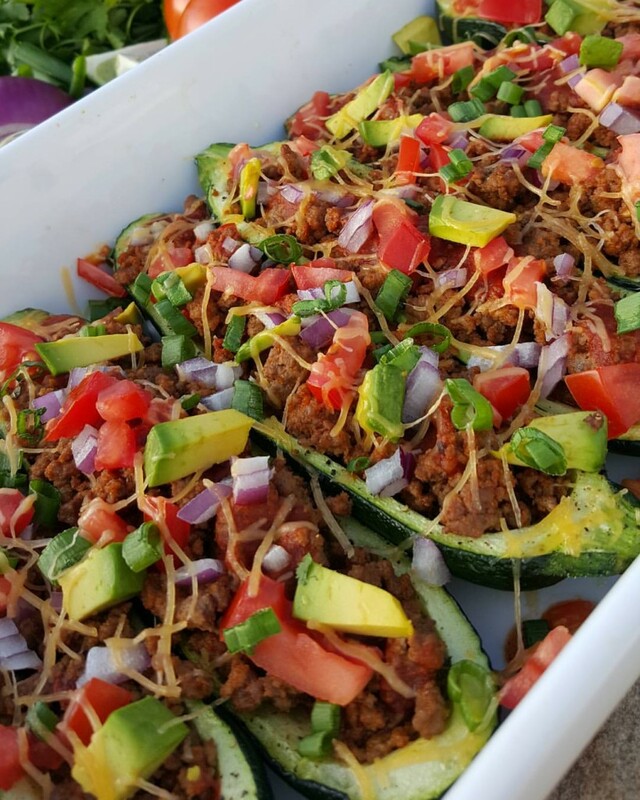 Scoop the ground beef mixture into the “boat” part of the zucchini. 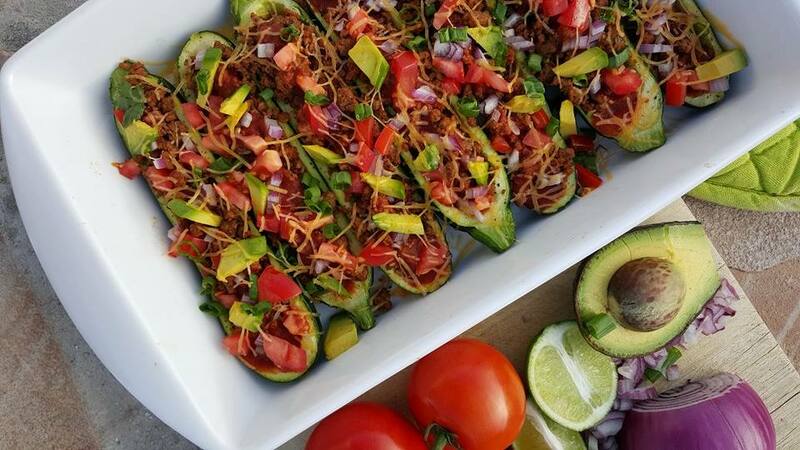 Pour the red enchilada sauce over the filled zucchini boats. Cover the baking dish with tin foil. Bake for 20-22 minutes in preheated oven. Remove foil from the pan. Bake for another 5 minutes uncovered. Garnish with fresh toppings, and serve. 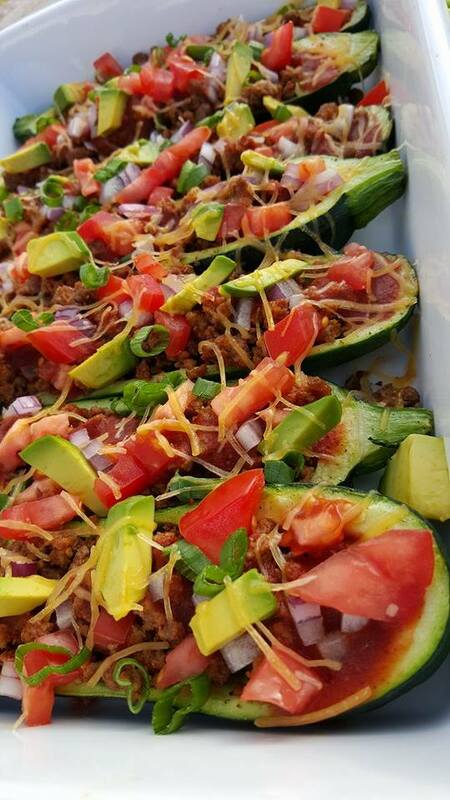 3 medium-large zucchini, sliced in half lengthwise and scooped out to create a "boat"
In a 13x9 inch baking dish, lay zucchini boats flesh side facing up. 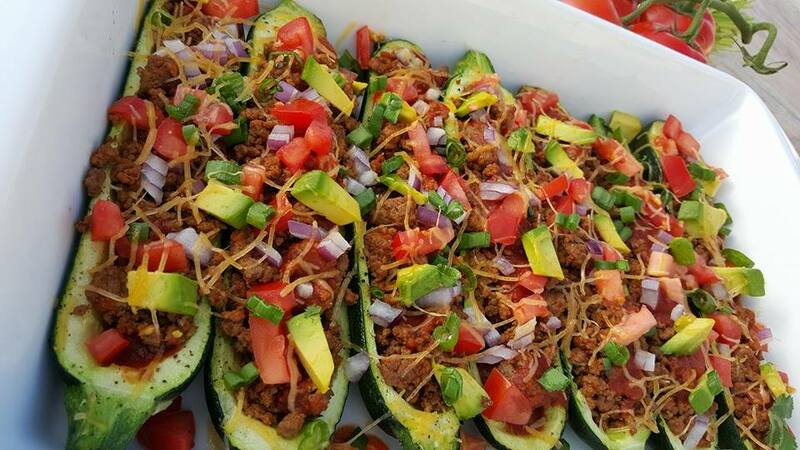 Scoop the ground beef mixture into the "boat" part of the zucchini. 10 Most Popular Clean Eating Recipes of 2018!